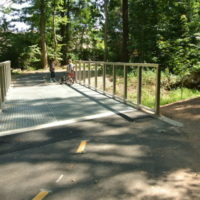 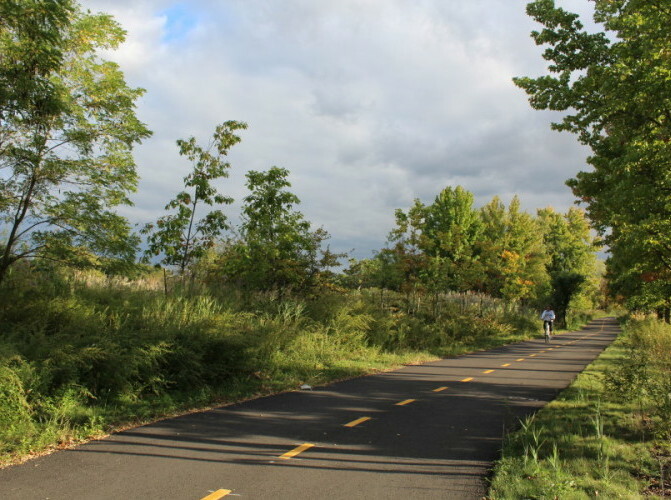 Construction on the 3.2-mile New Springville Greenway was completed in the summer of 2015. 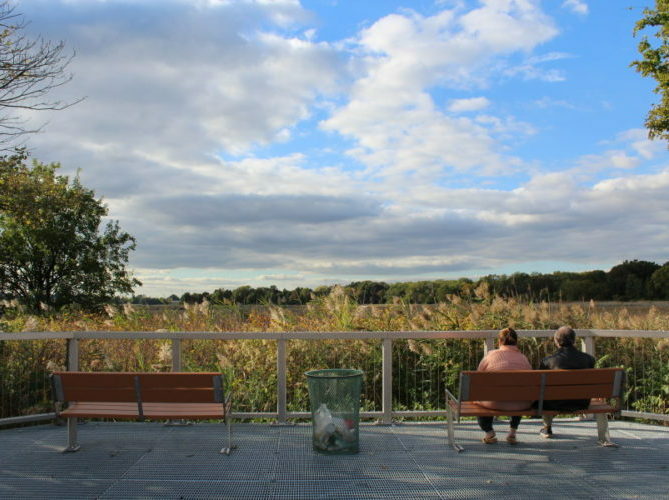 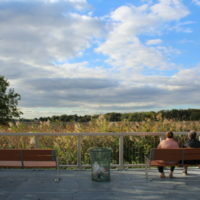 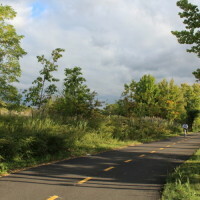 This path along the eastern edge of Freshkills Park creates north/south bike access parallel with Richmond Avenue by providing new asphalt pavement, concrete sidewalk reconstruction and improvements, and associated drainage systems, incorporating the most sustainable techniques in bio-swale design and construction. 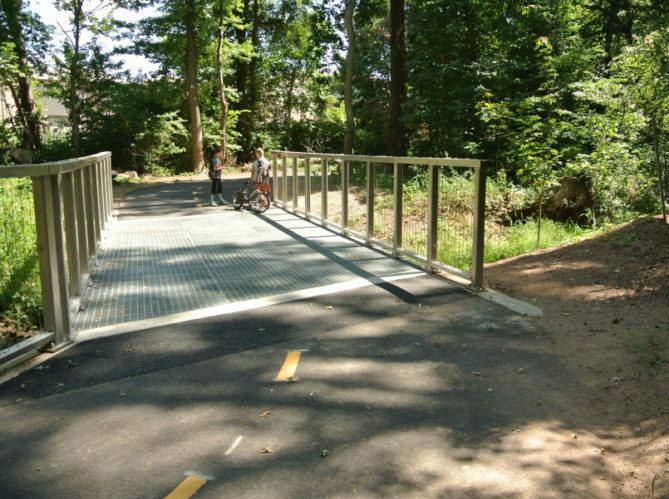 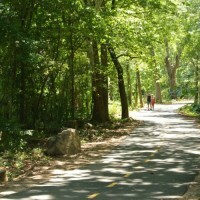 This project is made possible with the support of a Congestion, Mitigation and Air Quality (CMAQ) grant from the Federal Highway Administration. 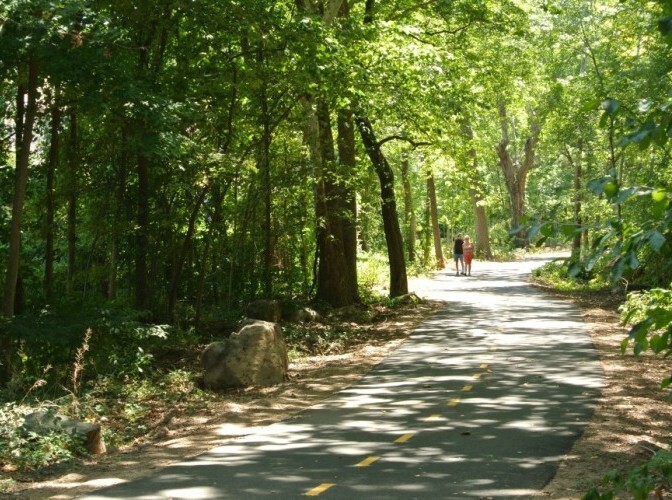 See the NYC Department of Transportation (NYC DOT) 2017 New York City Bike Map for details on how to visit the New Springville Greenway.